Car wax is a protective coating that is usually created from polymers and natural carnauba wax. Routinely applying wax to your car’s exterior will not only make your car instantly look lustrous and shiny, but it will also protect it from looking dull and ageing prematurely. Waxing your car will make it easier for you to clean and maintain your vehicle in the future and will make paint chips and scratches less noticeable. Read on to find out how to effectively wax your own car by hand. Keeping your vehicle in the shade will keep the exterior cool and allow the product to dry slower, making it easier for you to buff off the product later. To avoid any streaking on your car, make sure that your car is free from any droplets of water or any sort of dampness. Finding streaks on your car makes the wax job harder, as it will take more time and energy to remove these. Generally, the thinner the coat you apply, the shinier your vehicle will be, as you’ll be able to accomplish more shine with multiple thin coats than you would with a single thick coat. In a circular motion, apply the wax onto your car using the applicator. To achieve an even finish, try applying the wax one panel at a time and follow the contours on your vehicle. With your cloth or microfibre towel, remove the excess wax residue with moderate force. 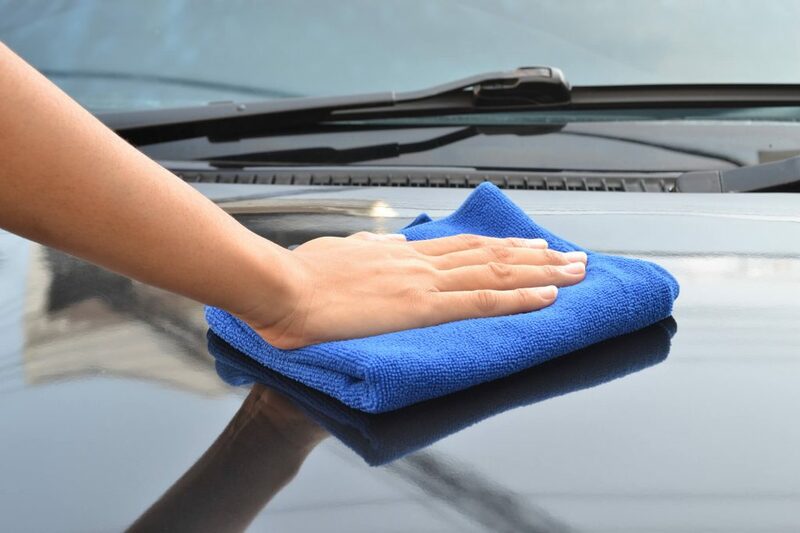 Microfibre towels are especially good to use because they can buff whilst providing a superior level of shine through picking up any dust along the way. Microfibre towels don’t shed any materials and are statically charged to pick up any waxy residue, thus avoiding any streaks. Remember to frequently rotate your towel or cloth to avoid any extra wax build up. Cleaning and waxing your car also gives you an excellent opportunity to inspect your windscreen and windows for any chips and cracks. The sooner you detect chips and cracks in your windscreen, the better the chances are that they can be repaired without having to replace the entire windscreen, ensuring you always have a clear view of the road, and are protected. After you have actioned the above steps, you should find your vehicle looking shiny and as good as new.